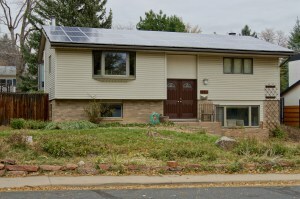 1775 Linden Avenue, Boulder – $800,000 – New Listing | Kearney Realty Co.
Great North Boulder location! Lots to love here including; hardwood floors, remodeled kitchen including maple cabinets, quartz countertops, stainless appliances and an induction cooktop, 8 kw owned solar system takes care of all the electricity needs for the home (and more), stained concrete floors in the lower level, a great yard with multiple sheds, a koi pond, new deck, large garden area & a potting shed. Upgraded baths with a steam shower in lower level. Multiple off street parking spots.